Cheap Street Church is a joint Methodist and United Reformed congregation. 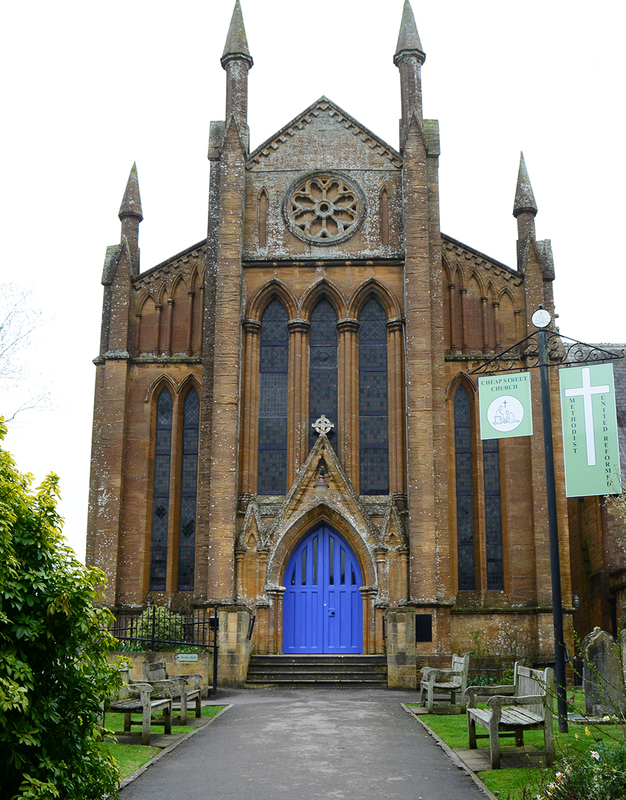 The church is set back slightly from the main shopping street in Sherborne, in its own grounds. The church has its own hall which is used by various community groups. It is also home to our weekly coffee mornings and our monthly 'Sticky Church'. Our Sunday Morning Service starts at 10.30am and we have occasional evening services. A major refurbishment took place during 2002/3 to make for easier access for the less able as well as remedial work to the exterior stonework and complete redecoration of the interior. Glazed entrance doors; a glass screen between the "Welcome Area" and the sanctuary: new lighting, heating, carpeting, and seat coverings. These changes have resulted in the church being able to engage with the local community in so many differing ways and has underlined our vision as a "Servant Church". Our regular weekly services begin at 10.30am and last for about an hour. The services are normally led by one of our team of Ministers, accredited Local Preachers, Supernumerary Ministers or Visiting Preachers from the local area. Our worship ranges from the traditional Methodist and URC services to occasional Songs of Praise and Taize services.